Location-Location-Location Boutique Cottage that delights every sense. Short Term Rentals are Snapped up through word of mouth. Bookings into 2020 if you want them. Professionally decorated Turnkey home with every amenity that has already been running as a full service vacation rental for 3 years. Take advantage of this Atlanta Designerâs Taste and Experience. Hard wood floors, both mahogany and original oak. Gorgeous new "cooks" kitchen with custom cabinetry, bubble rice glass doors, stainless steel appliances and granite counters that run thru to the butler's pantry and laundry center. The 2nd bedroom will teach you to relax. The Master opens to the 25' x 24' deck in your fenced and private back yard. Stroll, roll or glide to the Gulfport Beach or to Beach Blvd for a drink, meal, dancing or shopping both just a block and a half away. New Air and Roof, the superb condition of the house and the high end appliances will allow you or your Guests to relax in this Elegant Cottage in the Wonderful Waterfront Art District of Gulfport. The large lot will allow for a pool and plenty of room to expand the home. 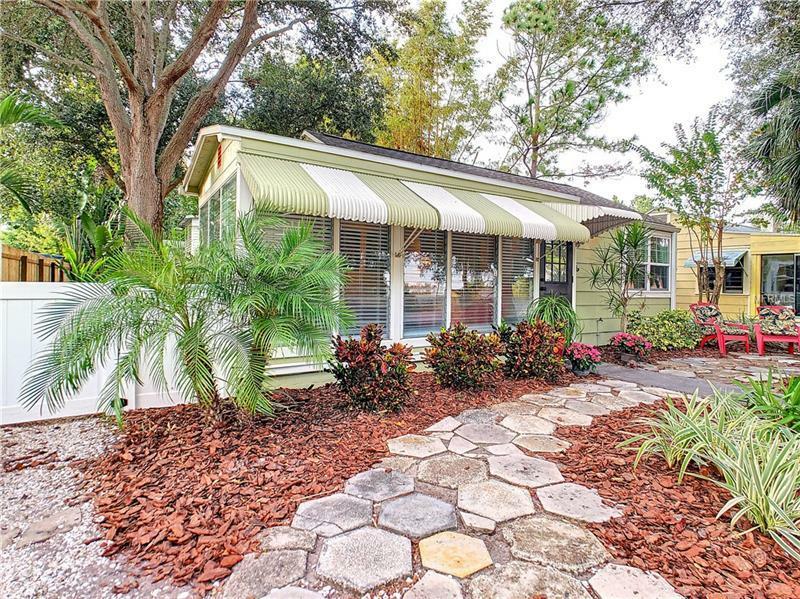 10 minutes from the sugar sands of St. Pete Beach and easy Airport access.